In the winter tyre tests recently conducted by trade publication"Transporter Magazin", the SnoVanis transporter winter tyre from Barum took second place with a rating of "Good". The editorial department tested four winter tyres and five all-season tyres in size 225/70 R 15 C for the current issue (4/2008). The Barum tyre received special praise for its "high reserves for traction and braking". A premium model received the "Very good" grade, while the other winter tyres in the test were rated as "Satisfactory". The "Good" grade was awarded to two all-season tyres, while the other tyres in this category were deemed to be "Satisfactory". Tread depth was not included in the rating. At 10.5 mm, the Barum SnoVanis was the second best tyre in this respect, and its low price also clearly set it apart from the other tyres in the test. 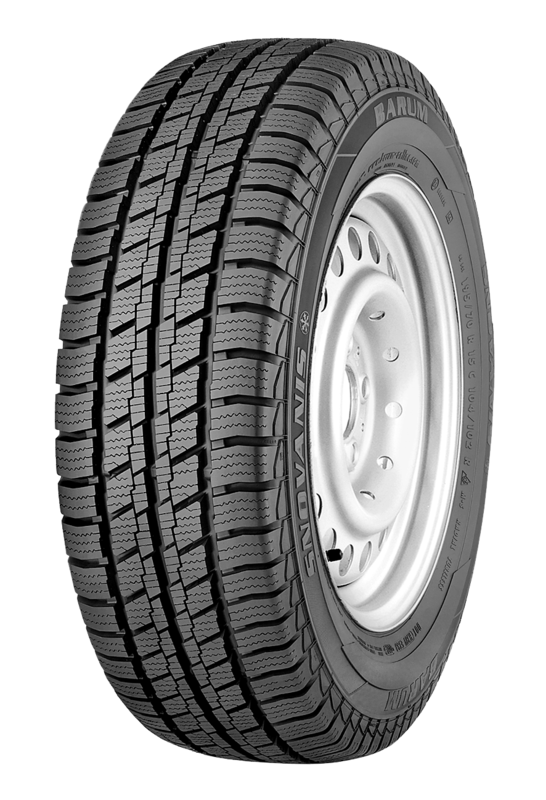 The Barum transporter tyre for winter use combines safe handling characteristics on winter roads with high mileage. Its high sipe density improves traction on snow and ice while wide, surrounding transverse grooves quickly drain off slush and water. The tread block sequence, developed using computer simulations, offers comfortable driving behaviour with low noise emissions. The high tread rigidity ensures optimum driving stability. In addition, the offset central bands of the tread and the flat contour reduce abrasion, thus increasing mileage. The tread pattern on the Polaris 2 features stepped and wave-shaped sipes and thus provides good grip and lateral guidance on snow-covered or icy roads. When driving in the rain, the deep, circumferential tread grooves pick up the water and channel it out to the sides. This makes the Barum Polaris 2 a safe winter tyre - at an attractive price. With its Polaris 2 V version, the Barum range now includes winter tyres approved for speeds up to 240 km/h (150 mph). What distinguishes this version from the standard tyre is its reinforced sipe tie bars in the shoulder lugs and the larger raised sipe sections in the lug centre. The modern silica compound used on all Barum Polaris 2 winter tyres also means lower rolling resistance. All in all, these features make the Barum Polaris 2 V a safe and attractively-priced tyre for winter use. Barum is a tyre brand of Continental AG. With targeted annual sales of €25 billion for 2008, the Corporation is one of the top automotive suppliers worldwide. As a supplier of tyres, brake systems, systems and components for the powertrain and chassis, instrumentation, infotainment solutions, vehicle electronics and technical elastomers, the corporation contributes towards enhanced driving safety and protection of the global climate. Continental is also a competent partner in networked automobile communication. Today, the corporation employs approximately 146,500 at nearly 200 locations in 36 countries. A quarter of all tyres in Europe are manufactured by Continental, the market leader. More than 30 per cent of all new European cars leave the factory fitted with Continental tyres. The tyre divisions are an official sponsor of the FIFA World Cup 2010™ in South Africa. For further details, please visit www.contisoccerworld.com.